"Salmon did planking before it was a thing! Cedar keeps the fish from getting burned or blackened and infuses it with delectably earthy flavor. Brush with my Awesome Sauce recipe before serving." Combine brown sugar, chili powder, cumin, salt, and pepper in a bowl. Sprinkle over fillets. Arrange fillets 1 inch apart on the soaked cedar planks. Preheat an outdoor grill for medium heat and lightly oil the grate. Place planks over the cooler section of the center of the grill, turning the thickest sections of the salmon closest to the fire. Cover and cook until an instant-read thermometer inserted into the thickest parts of the salmon reaches 135 degrees F (57 degrees C), 30 to 35 minutes. 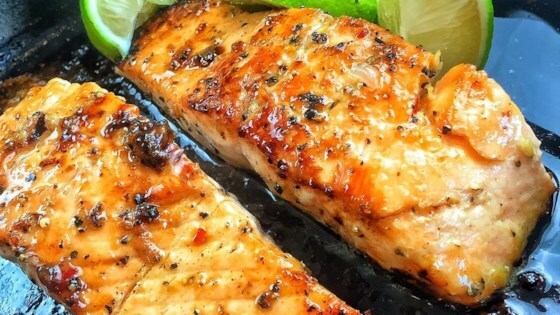 Remove from grill and let salmon rest on planks, 5 to 10 minutes. Nice and easy to make. Adds nice flavor.